If you are one of those people that on a summer day can stand next to the most stagnant body of water for hours and not have a single mosquito land on you, congratulations. You have no idea how lucky you are. For the rest of us, it seems that no matter what we do, we will be eaten alive. A single mosquito found its way into our boys' room and overnight managed to attack our youngest son multiple times. Our oldest awoke without a single bite. Hardly fair. Add to that the fact that Houston mosquitos are not messing around. When you combine humidity with a flat, marshy landscape, you get a breeding ground for the largest, most awful mosquitos around. We've made an effort over the last few months to decrease the number of chemicals we use in our home and so I spent the summer experimenting with some different natural options for protecting the family against these crazy, flying insects. Probably the least effective of all the things we tried is the Cutter Natural Insect repellent. One of the most common themes in online reviews I read about this repellent was that it stinks. My thoughts? It stinks. And it doesn't smell very good either. Kudos for being deet-free, but it absolutely did not repel mosquitoes for hours as the bottle claims. Next we tried these really neat citronella bracelets (sorry "bug bands") that we picked up at the local DIY hardware store. You can adjust the strength of the band (how much citronella is released) by removing up to five plugs from it. They are packaged in reusable containers that help to preserve the citronella scent. We first put these to use one afternoon while working in our garden. Both boys had the bands on their wrists with two plugs removed and neither complained about getting bit. 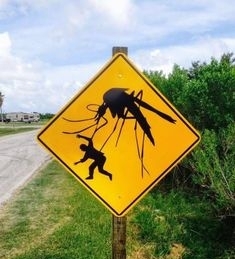 I thought we were onto something until I noticed that while the mosquitos were not biting their arms, they were attacking their legs with a vengeance. The citronella was keeping their upper bodies protected, but their legs were "out of range." This combination of oils works really well for us. I love the fact that I know exactly what is in the spray and it can be sprayed onto skin and clothing. You can, of course, adjust the combination of oils to suite your preferences. Citronella is a great mosquito repellent, so I tend to add bit more of it than the other oils. You can experiment with only two oils or work with four or five. For this amount of liquid you'll want about 90-110 total drops of essential oils. Since citronella needs to be reapplied every hour or so, sometimes I will use the bug bands in combination with the homemade repellent in case we lose track of time. Do you have a favorite natural repellent or homemade recipe? Leave us a comment and tell us what works for you! *Be sure to follow all warnings that come with your essential oils.